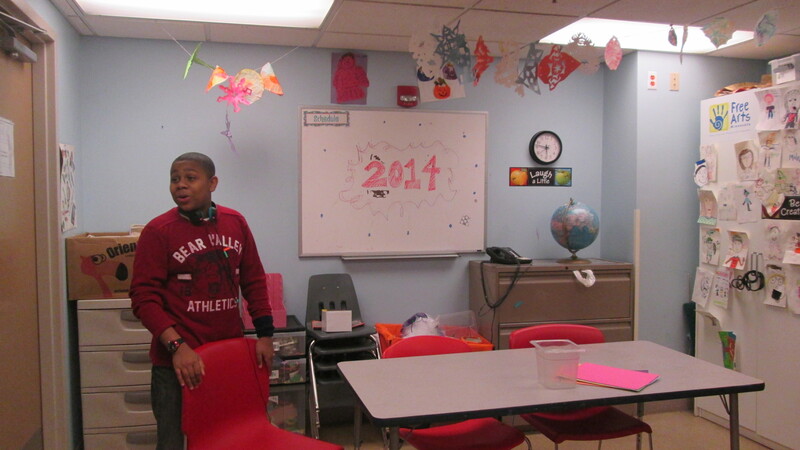 The New Year brought great fun and excitement to D3 at PSP. 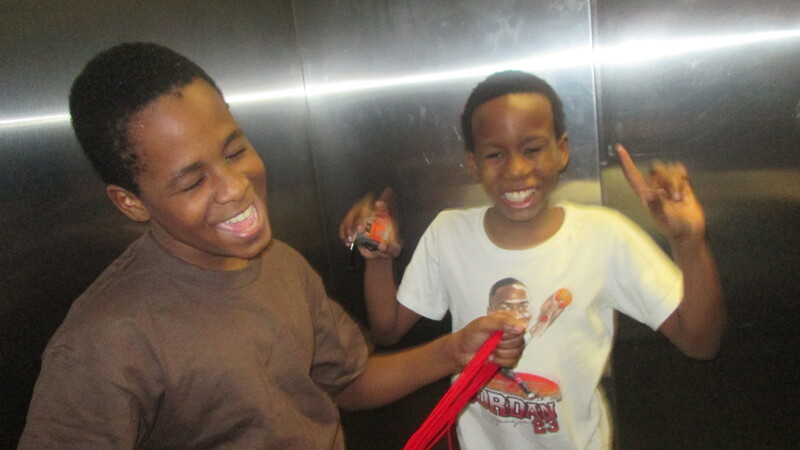 We had a party for the teens on New Year’s Eve! We started with a little round of high and lows from 2013 and hopes for 2014, and the energy was high making conversation a little tough, so we stuffed our faces with pizza! The teens decided to watch Dr. Suess’ Lorax movie, but they were talking and singing over the movie, so we turned it off and figured out what they really want to do – dance! These teens love to sing and dance along to their favorite pop songs. They search YouTube for the family friendly versions of their favorite songs and shook it all out. They made a Harlem Shake video, a Kemo Step video, and belted out Katy Perry’s song, “I am a champion. You’re gonna hear me ROOOOOOAAARRRR!” We all had a blast! On the first day of the year we reintroduced the On The Move design project for D3’s new workspace up in the 5th floor TV lounge. Only one teen had worked on the floorplan that was submitted to and approved by management, so the other teens were ecstatic when they heard that they get to redesign a space and make it their own for evening programming. After going through the initial problem statement, design proposal and floorplan the teens took some measurements of the furniture we have to work with and went upstairs to explore the space. 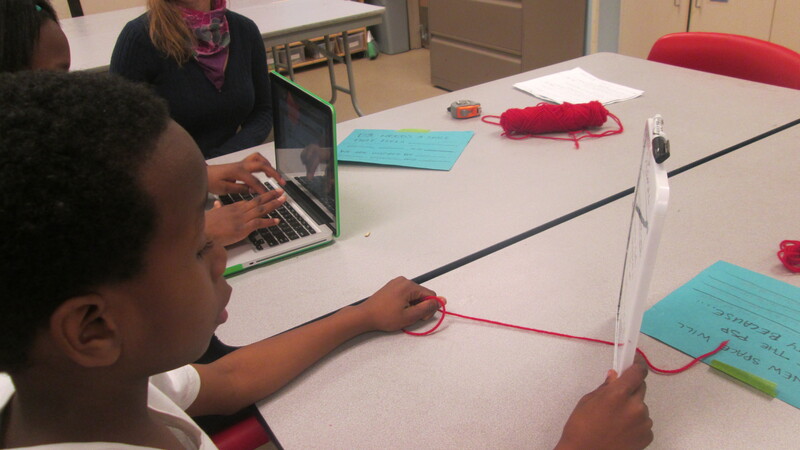 They used red yarn to represent the dimensions of the big work table in the room and decided a 8′ x 3′ table would be better than one or two 5′ round tables. Our goal for the day was to develop our new problem statement for the room. The teens were so focused they were able to write that statement and send their next proposal and clarifying questions in merely the first day! These teens got a feel for the new space and moved things into place to feel out the dimensions of the new furniture proposed for the space. 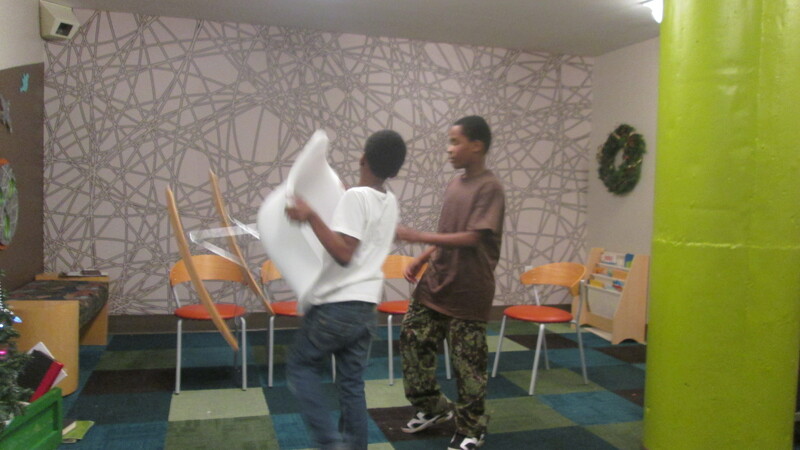 Problem statement 2: For teen programming to use the lounge, we need to consider ___privacy___, ___cleanliness___ and ___a creative and inspiring space___ to transform it into a useable, teen-friendly space that is ___creative___, ___comfortable___ and ___safe___! 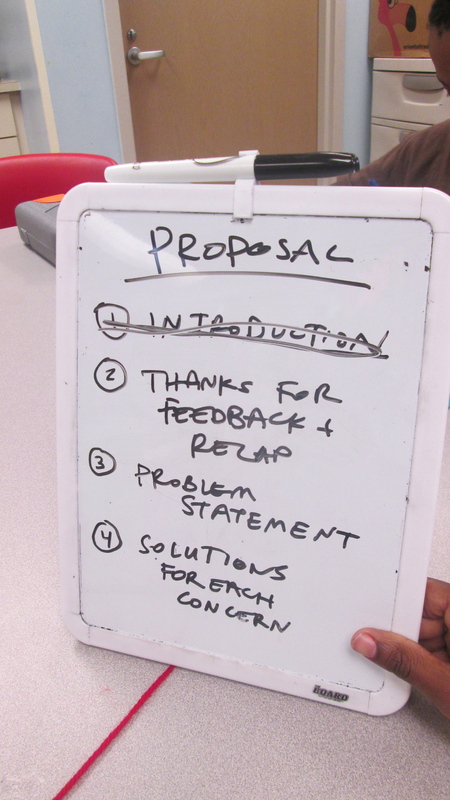 The teens wrote up their new ideas to propose to management for approval and get some new questions answered. 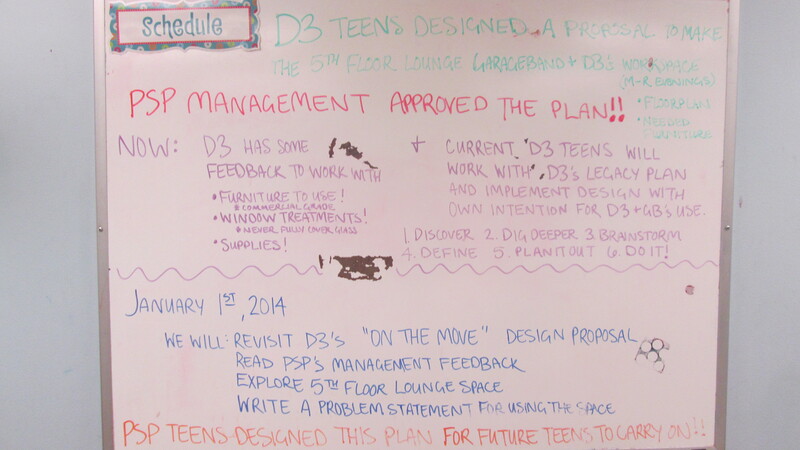 We have already heard back many yes-es and the teens are excited to brainstorm further and define exactly what they will bring to the new workspace for themselves and all future D3 teens at PSP. ← D3 @PSP Peace Out & Timberwolves!